It’s blood orange season! It’s that bright time of winter when we see the citrus start flooding into the markets. Which means it’s time to celebrate citrus season with a bright and tasty smoothie. Blood oranges are a gift this time of year, when the markets are bare from winter and we are knee-deep in root vegetables and squash. 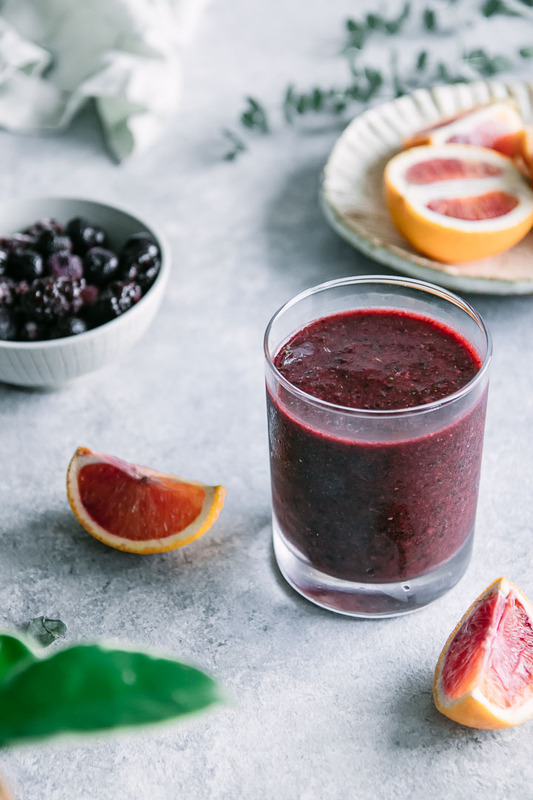 This simple Blood Orange Frozen Berry Smoothie turns winter around and features some of the best and brightest that the cold weather harvests have to offer. 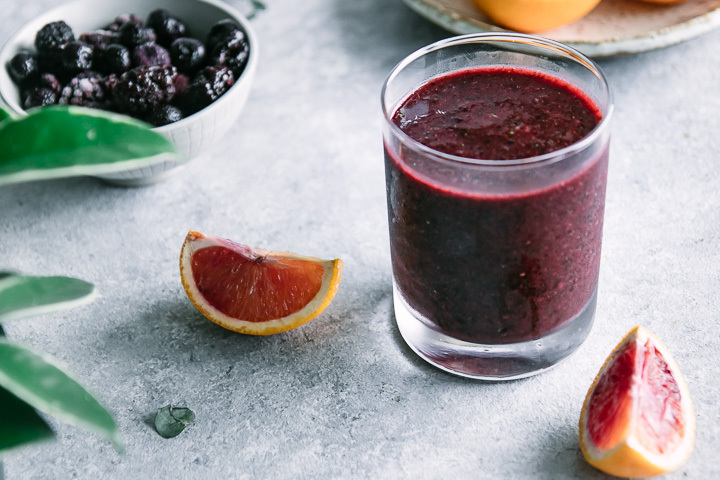 A key ingredient in this winter smoothie recipe is frozen berries, which add a burst of summer flavor. Frozen fruits and vegetables are a great option for winter because the fresh berries in stores are likely shipped from very far away (unless you live in a warm climate) and are not at their peak freshness. Freezing summer berries means you can enjoy them year round and they’re great for smoothies! 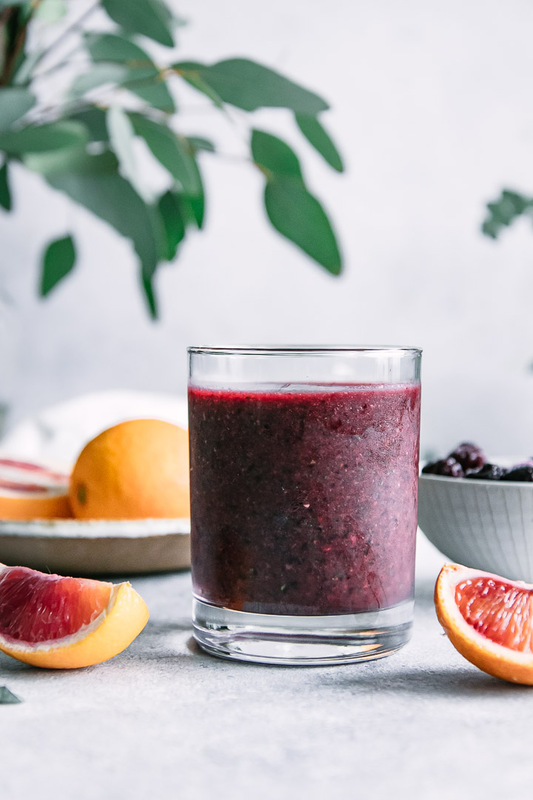 Are you ready for this simple 5-ingredient Blood Orange Frozen Berry Smoothie recipe? Let’s do it! First, peel your blood orange and separate orange slices, removing seeds. 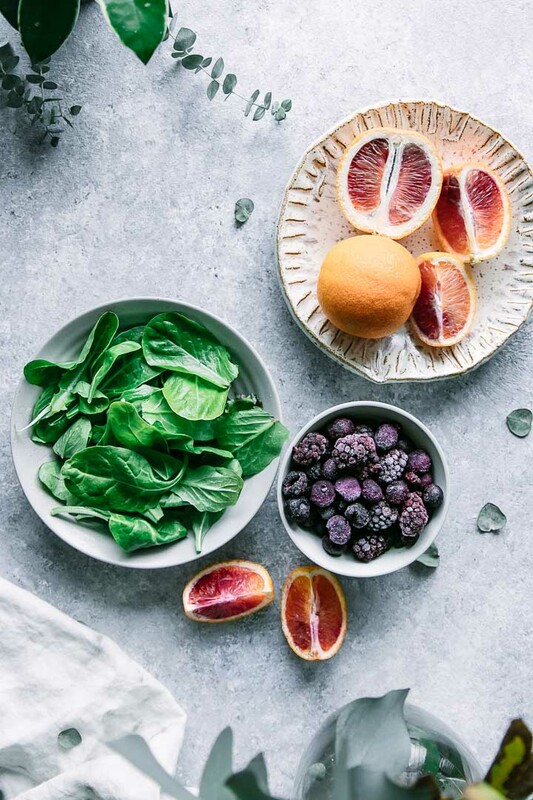 Then add the blood oranges slices to a blender or food processor with frozen berries, leafy greens like kale or spinach, a bit of orange juice, a tablespoon or two of chia seeds to thicken, and a few ice cubes. Blend all ingredients until smooth, adding more ice cubes or juice until you reach your desired smoothie consistency. You can also add in additional ingredients to bulk up the smoothie and make a more balanced mini-meal, like oats, protein powder, and nut butter. 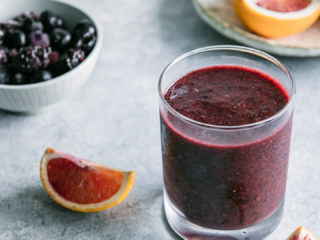 Finally, pour the smoothie into a glass or a bowl and top with hemp or chia seeds, freeze dried fruit, or coconut flakes. A delicious and healthy winter fruit treat! Love this simple winter fruit smoothie recipe? Check out our other seasonal smoothie recipes, like this Creamy Avo Spinach Raspberry Smoothie or Mellow Yellow Superfood Smoothie. 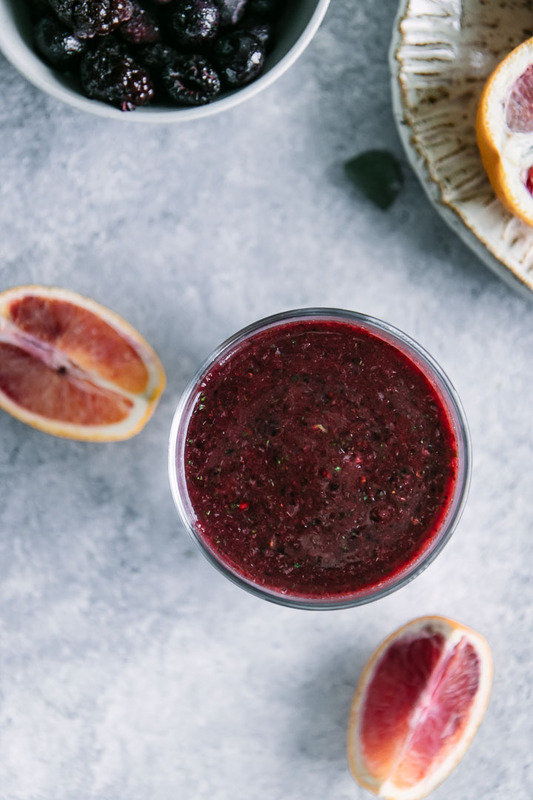 Did you make this Blood Orange Frozen Berry Smoothie? Leave a comment below and rate the recipe to let us know how it turned out. Save this winter smoothie recipe for later by pinning to your favorite smoothie Pinterest board and make sure to tag me on Fork in the Road’s Instagram to show me your smoothie creations!